Enactment of the Public Disclosure Schedule is one of the mandatory State Level Reforms under JNNURM. Under this law, urban local bodies (ULBs) have to voluntarily declare information about its functioning, which includes, annual statements of performance covering operating and financial parameters and service levels for various services on a periodic basis to the public. Here is what our Belgaum City Corporation PDLhas declared. As on date there is no Scientific treatment facility, 35 MLD raw sewage let into Bellary Nallah. 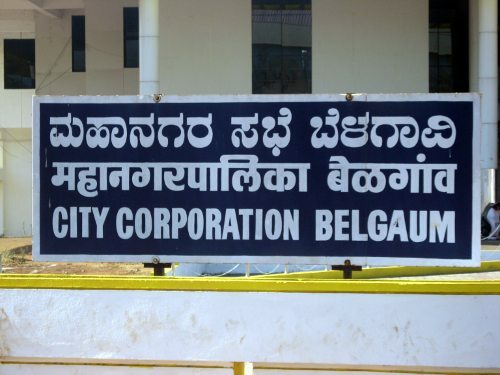 There are 32 declared slums and 19 non declared slums in Belgaum city. About 2.337 Sq.mts is occupied with a population of 57902 and the number of households are 12082. All this above details were got from the PDL on the City corporation website. GoK vide its notification UDD 92 CSS 2009 dt. 26-11-2009, published the “Karnataka Right to Information (Disclosure of Information by Authorities Providing Municipal Services) Rules, 2009” (attached). Under this, it is mandatory for all ULBs in the state, through their respective PIOs to publish Public Disclosure data as per the prescribed template and frequency after 1 year of the Notification i.e. 26-11-2010. Read through below text and links for complete info.